Jesus answered him, “I assure you and most solemnly say to you, unless a person is born again [reborn from above—spiritually transformed, renewed, sanctified], he cannot [ever] see and experience the kingdom of God” (John 3:3 AMP). “I saw a vision of a man crying and begging to enter the Kingdom of Heaven, but He was denied entry. He begged, ‘Please let me in, let me in’ while crying bitterly with tears running. I then heard the Lord say, “You may not enter because only those who are born again are welcome here.” This was the end of the vision. The man in the vision is known to us. This young man is doing some good charitable work in the community and he also attends some church services and prayer meetings. This has led him to believe that he will be accepted because of what he is doing. He is committed to the work he is doing, but not to the Lord. Our work must issue from a love for the Lord and this feat is possible only when we are born again. Therefore, the Lord’s message to the gentleman and to ‘Christians’ who reject the born-again message is clear: only the born again may enter His fellowship and not those who rely on self-effort (John 3:5-6). I was recently introduced to a pastor by a friend who worked on our vehicle. Soon after our introduction, the pastor and I had a discussion, bearing in mind that Scripturally, we are expected to encourage one another (Hebrews 3:13). The Lord knows that I always avoid entering into quarrels regarding the Scriptures, but when people ask if some doubt or confusion exist, I am accommodating. However, my pastor friend challenged me to a ‘theological debate’, which I reluctantly accepted. In a nutshell, he outrightly rejected the born-again experience as unreal. I in return challenged him on his faith and acceptance of Scriptural testimony of which he could not provide adequate justification. He subsequently requested that we drop the discussion and left in a hurry without offering an excuse. In this case, simply ignoring Scriptural facts to uphold a position of belief has some serious eternal consequences. We have not been called to follow a church’s creed, but to obey and follow the Lord Jesus Christ (Acts 5:29; John 10:27). Countless people are being led astray because they don’t spend time reading the Scriptures for themselves, and so they become followers of men rather than of Jesus Christ the Lord. 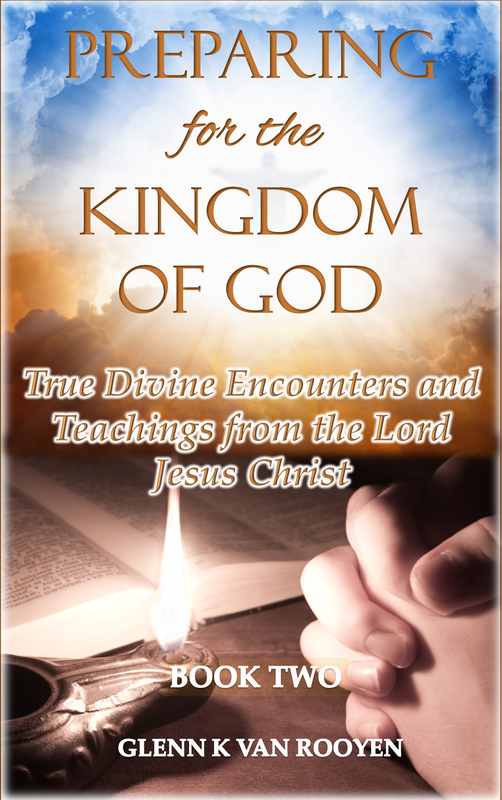 The world at large and some sections of the Christian communities grossly neglect and simply ignore the Lord’s command that we must be born again to enter the kingdom of God. In my observation, those who ignore this teaching come largely from the historically traditional churches. Some have offered similar reasoning like Nicodemus asking, ‘How can a man be born when he is old?’ (John 3:4). Others, due to ignorance of the Scriptures, are unaware that they should be born again. Yet others have dangerously rejected this teaching to their own detriment. The principle of faith is best presented by our Lord Jesus Christ when He said, “I assure you that whoever tells this hill to get up and throw itself in the sea and does not doubt in his heart, but believes that what he says will happen, it will be done for him” (Mark 11:23 GNT). Herein, the Lord clearly highlights that our faith will yield God’s approval and grant our request (Hebrews 11:6). The point is “… according to your faith will it be done to you” (Matthew 9:29). Therefore, if we lack faith and decide to simply ignore this command of the Lord of being born again, our choice would not be automatically converted by the Lord, because God’s rewards are tied to our faith and obedience to Him (Jeremiah 17:10). There is no automatic superimposition of God’s will upon a believer's life; the order of God’s gifts, punishment and blessings rest entirely on our faith (Romans 2:6; Revelation 22:12). As it is, believers in traditional churches lean more on the teachings of socially acceptable behaviour and with faith in God attached to a church doctrine. 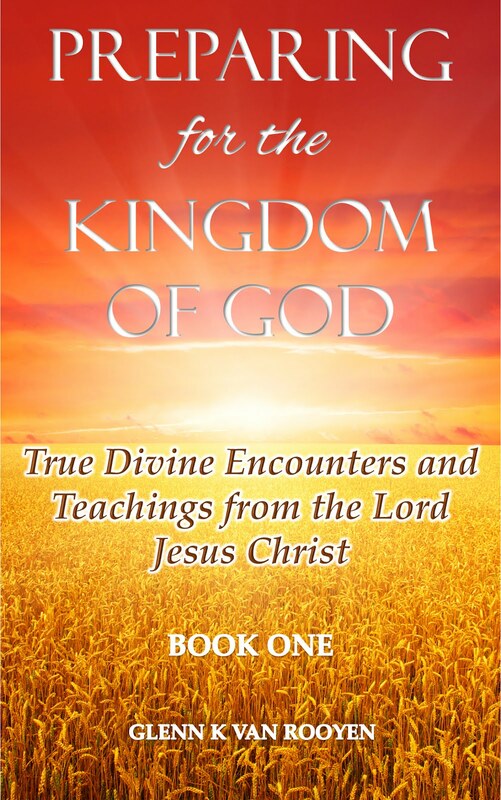 These teachings disregard the gifts and fruit of the Holy Spirit and express a position of faith with the absence of expressing the truly born-again experience, which is the energetic expression of the fruits of the Holy Spirit (2 Corinthians 6:3-6). Therefore, and in the light of this, it is utterly hypocritical of any person who calls himself a Christian to ignore clear and unambiguous Scriptural instructions. An equally disturbing tendency is that some Christian sects twist the actual meaning of certain Scriptures to lend more credence to a certain doctrinal position, while rendering the proper Scriptural context in a biased way. We have heard people saying that they believe they were born again when they were baptized or christened (committed as Christian) while babies. Children already belong to the Lord (Matthew 19:14) and being baptized by water is good and commendable; the Lord Himself was baptized saying, “…it is proper for us to do this to fulfill all righteousness.”(Matthew 3:16). However, the Bible is clear that being born again is not something a parent, husband, or any other human being can plan or decide for us; but those who repent of their sins and receive Jesus Christ as their Lord and Saviour are the ones who become born of God (Romans 10:9-10; John 1:13; 1 Peter 1:23; 1 John 5:1). The Lord promised in this new covenant (Ezekiel 36:24-29), that He would give His children a new heart (Acts 15:9) and a new spirit; His Spirit (1 John 4:13) to “move you to follow my decrees and be careful to keep my laws” (Ezekiel 36:26-27). And as we shared in the article, Duties of a True Born Again Christian, after we become born again (saved), we become a new creation and are told to "take off the old man corrupted by evil desires" (2 Corinthians 5:17; Ephesians 4:22-25).The ‘old man’ is corrupted by worldliness and the desires our carnal natures feed onto (Romans 12:1-2; Galatians 5:17-26). The “old self” does not care about keeping God’s law, but in Christ “..our old self was crucified with him so that the body ruled by sin might be done away with, that we should no longer be slaves to sin” (Romans 6:6). We become slaves to righteousness and learn to walk in love and obedience while repenting of all our sins (Romans 6:17-18; 1 John 3:9; 4:7; 5:18). A systematic approach to the Scriptures gives us a justified position of accepting the truth of how we ought to live and believe. The Scriptures clearly declare the transition from the Old Testament way of life (Romans 2:12; Hebrews 8:6-13) to the new life in the New Testament dispensation - life in the Spirit (Acts 15:8-11; Romans 8:2-11). The apostles, who were eye witnesses of our Lord Jesus Christ, and who first experienced the powerful effect of the Holy Spirit in their own lives (Acts 2:2-4) urged us to build ourselves up in this new life (Jude 1:20; 1 John 4:13; 1 Peter 4:14; Galatians 5:16). How can we deny such a Scripturally well-defined and presented teaching such as being born again? Are we not denying the spirituality of our experience while we try to derive meaning from a carnal explanation which does not rely on faith but physical evidence (2 Corinthians 5:7). Therefore, this is uncompromisingly true that the believer upon accepting Christ as Lord by way of confessing faithfulness to Him receives by faith God’s Holy Spirit as an adoption to sonship (Romans 8:15). This experience happens in God’s realm and it is faith-based and simply beyond human reason or comprehension. On the outside, the external or more visible evidence being the fruit of our association with the Lord (John 15:4-5; Matthew 3:8). As a direct result of our union with Christ (1 Corinthians 6:17), the born again experience of being gentle, kind, Joyful, loving, faithful, forgiving, humble or being truthful gives an expression to our Christian faith and way of life (Galatians 5:22-23). Additionally, in being a Christian we are not pretending when we serve you with humility and kindness, but we do so in obedience to the Lord and we are being enabled by His Spirit who is at work in us for your good (John 14:26; Philippians 2:13). Evidently, the Lord ascribes a Christians’ good character as issuing from a loving heart for Him, and it is an undeniable fact in life. Love unites and gives assurance even to the most hardened and unkind person (John 13:35; 1 Peter 3:15-16). In the Scriptures, we learned thatChrist came to offer us a new way of life and all those of us who accepted Him as Lord are being enabled by His constant corrections and convictions through the work of the Holy Spirit in us (John 16:7-8). The Scriptural verdict is clear “…Verily, verily, I say unto thee, Except a man be born again, he cannot see the kingdom of God” (John 3:3 KJV). If you are not yet born again and would like to put away your old self with its sinful desires and become a new creation (2 Corinthians 5:17; Ephesians 4:22-25), the Lord Jesus Christ is willing and able to do this and save you (Acts 16:31; Romans 10:9-10). As a born again believer and follower of the Lord Jesus Christ, you will overcome the world (1 John 5:4-5)! To begin a relationship with the Him, please start by praying this Prayer of Sincere Repentance. For any questions or comments on this article or our ministry, please contact us.